Hokkaido (Japan) – January 10, 2018 (travelindex) — Best Western Hotels and Resorts will arrive at one of Japan’s busiest airports in 2018, with the launch of a brand new upper-midscale hotel. Scheduled to welcome its first guests in May 2018, Best Western Plus Hotel Fino Chitose is situated just 3.2km from New Chitose Airport, the main domestic and international gateway to the island of Hokkaido. 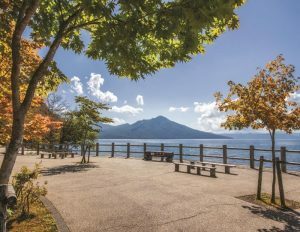 “With its snow-capped peaks, national parks and fresh mountain air, Hokkaido is a natural paradise for visitors – especially those from Asia’s most crowded cities. So it is no surprise that the island is welcoming a rising number of international visitors, the vast majority of whom travel through New Chitose Airport,” commented Olivier Berrivin, Best Western Hotels & Resorts’ Managing Director of International Operations — Asia.